Vikranth says it is not about winning or losing, but about spreading awareness of people’s right to vote and to bring about change. “People watch movies like Sarkar, and hoot and cheer for such movies, but they won’t come out to vote. They spend time and money to travel to watch these movies, but they can’t go to a polling booth in their own locality to cast a vote, which can bring about change,” says Vikranth Babu Samidla, a Non Resident Indian who lived in the USA, as he sits down to talk to TNM over dinner in Warangal. 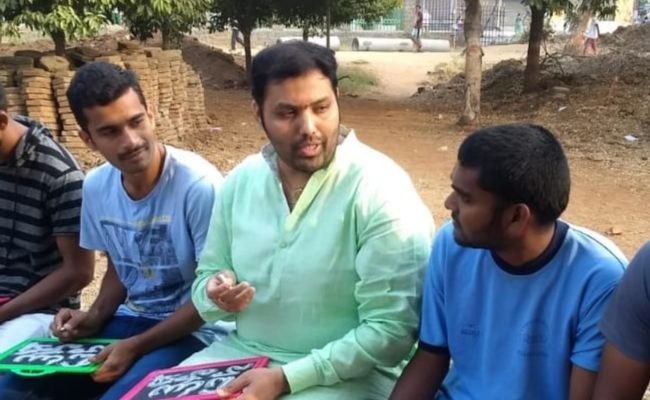 Vikranth returned from the US three years ago and is now contesting as an independent candidate from Warangal West constituency. Having worked with prestigious companies such as Apple and AT&T in the US, he decided to pack up and move back to India to engage himself in social work. Vikranth will be going up against sitting MLA Dasyam Vinay Bhasker of the TRS, TDP’s Revuri Prakash Reddy and Dharmarao Marthineni from BJP. “It’s not about winning or losing for me at the moment. It’s more about spreading awareness among people on their right to vote. And I felt like it required me to enter politics actively and use that as a platform to do so and that’s what I’m doing,” he says. Born and brought up in Warangal, Vikranth completed his Masters in computer science at Texas A&M University and currently is the I-T head at Apollo Sugar Clinics, Apollo Hospitals in Hyderabad. “I work as a consultant. 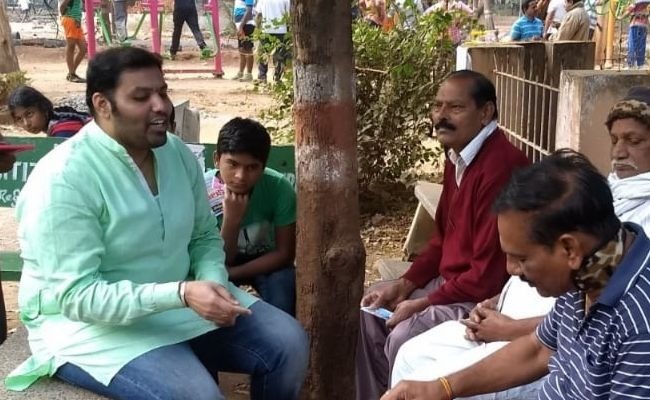 This is so that I can work for three days a week and dedicate the rest of the week for the various organisations I volunteer for here in Warangal,” he says. 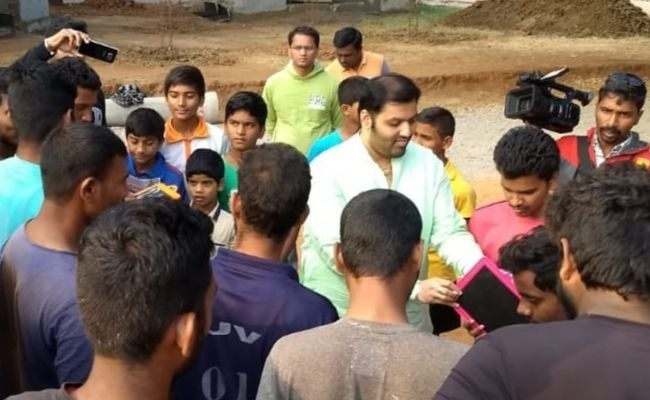 “I have been working with various organisations, mostly in the field of education where we ensure people go to school, donate books, bags and other necessities so they can receive a decent education. Through this, we also started teaching people about sanitation, etc. As elections approached, we were asking people why they don’t come to vote and realised that there is little awareness about the need to vote and the need to elect the right leaders. I felt like people needed to know why and who they vote for and ensure that they hold them accountable for the lack of development. At this point, several people asked me why don’t I enter politics myself, so I thought – why not,” he adds. Vikranth works with organisations such as Helping Hands India, Youth for Swachh Warangal and Young Pioneers of India. Through his election campaigns, Vikranth claims that he is telling people that voting for him is secondary but what most important is that they go out and vote on polling day and show the kind of power the people have. He is also striving to spread awareness about the option of NOTA. “I’m not in it to win or to make money. What I earn right now is a lot more than what an MLA’s salary is. I’m here to spread awareness and do good,” he adds. “We don’t want to engage in pointing fingers at others or getting personal. Our agitation is against the work that hasn’t been done yet and we will work on finding solutions for current problems instead of complaining,” he adds. Vikranth wants to concentrate on four major areas: Health, education, smart cities, employment for youth. And his focus too, he says, is on the growing urban population in these towns. He believes that a ‘one size fits all’ manifesto won’t make sure that development trickles down to the bottom of the pyramid. “Things like health and education can be generic but beyond that, every MLA needs to have manifestos specific to their constituencies that target specific problems,” he adds. Vikranth points out that over 65% of our population comprises youth. “For any development and innovation going forward, youth will play a very important role and we are seeing that happen slowly. But the saddest part is that today our Parliament is one of the oldest in the world in terms of age of politicians. When we need youth for everything, why don’t we want them to rule the country?” he says. 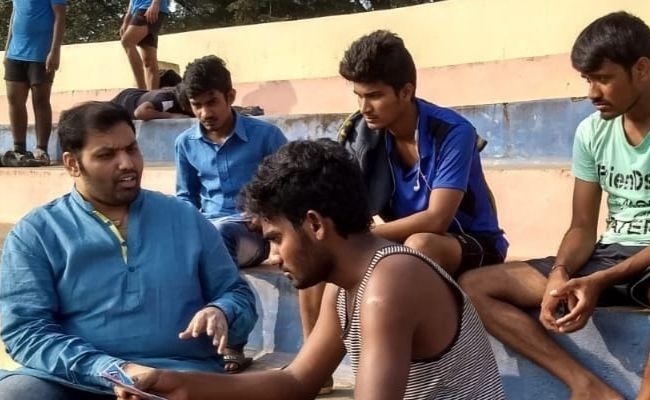 Vikranth wants to bring about more employment opportunities for the youth and turning Warangal into a smart city is one such big opportunity, according to him. Warangal was selected as a smart city in the second list put out by the government. But Vikranth claims that no work has been done on this front. “Look at things like rapid transportation systems, solid waste management, or even underground drainage. There is so much that can be done but nothing has been done. Nearly Rs 900 crore has been released for this purpose for Telangana and we have found that not even Rs 200 crore has been utilized. And the leaders too, don’t seem to know how to make Warangal a smart city,” he adds. Vikranth wants to implement solid waste management and underground drainage in the city if he comes to power. He also wants to create recyclable bricks and lay roads with recycled material. For his campaigning, Vikranth is focusing on digital media, with digital ads online and through WhatsApp. Apart from that, there is also print campaigns and door-to-door campaigning. His budget, Vikranth says is Rs 10 lakh and the moment that money is exhausted, he says, he will stop campaigning. “I have taken the initiative and put a step forward to bring about some change. Whether I win or not, is something people will decide. But through the campaigns, if I manage to influence at least 10-20 per cent of the people, I will be happy. At least some change would have begun,” Vikranth says.